Unloading the salt under the watchful eye of some pupils, head teacher Heather Rowe and Mark Thompson, Boulby Salt Sales and Distribution. 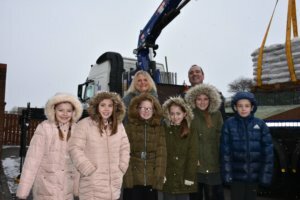 Supplies of road salt have been arriving at east Cleveland schools as the cold snap returned to the region with a vengeance. With warnings that this week will see some of the coldest weather of the winter Cleveland Potash, which is one of the UK’s leading suppliers of road salt, is providing a helping hand to local communities. 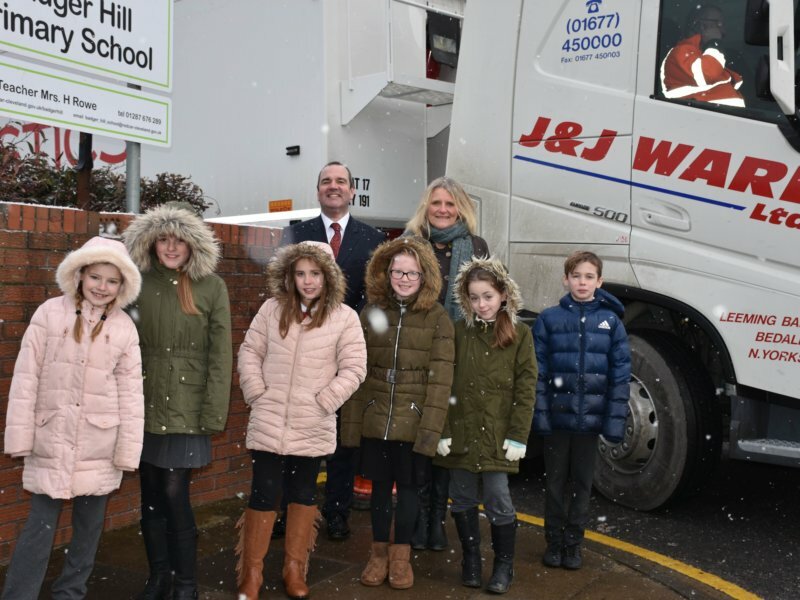 Today (Tuesday 6th February) a lorry load of salt arrived at Badger Hill Academy in Brotton. 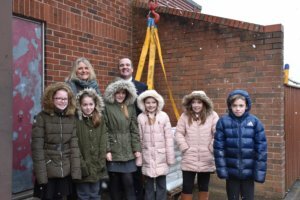 It was the first in a planned distribution of up to 90 tonnes of salt produced from its Boulby Mine, to help keep local roads and footpaths safe and clear of ice. Says Mark Thompson, Salt Sales and Distribution Manager with Cleveland Potash: “Each year in winter, around two million tonnes of rock salt are spread onto the roads of Britain and a great deal of it is mined at Boulby. To learn more about salt mining at Cleveland Potash, click here.